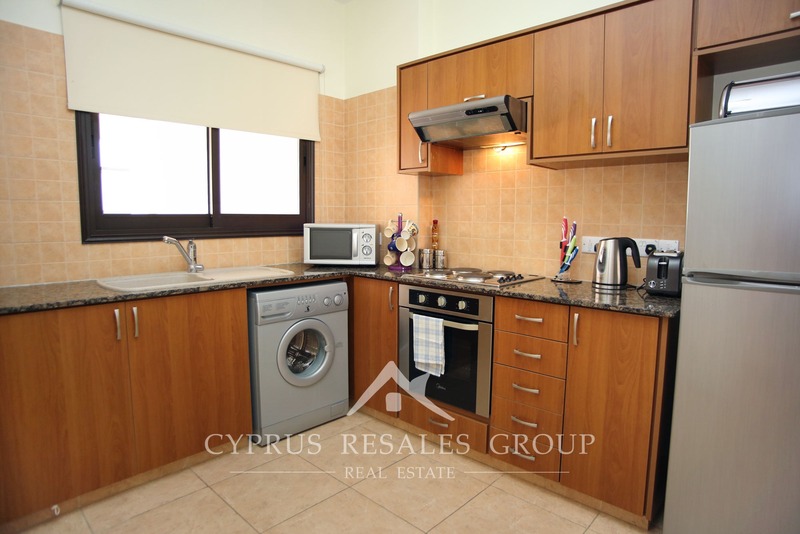 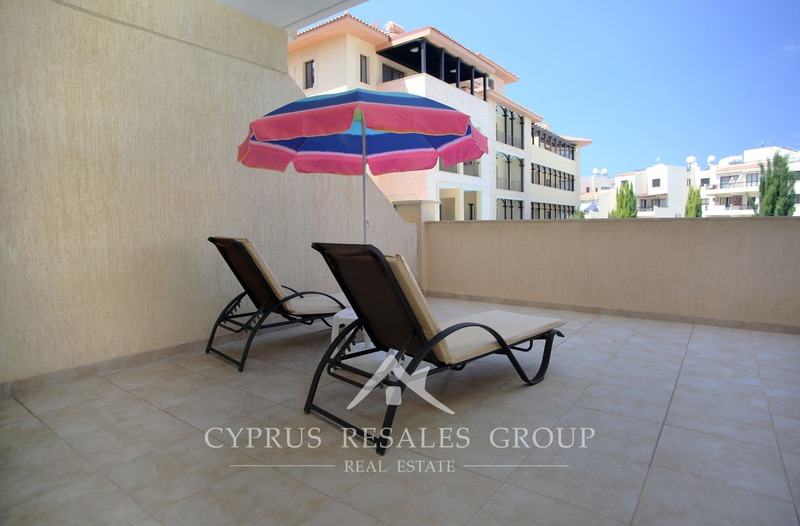 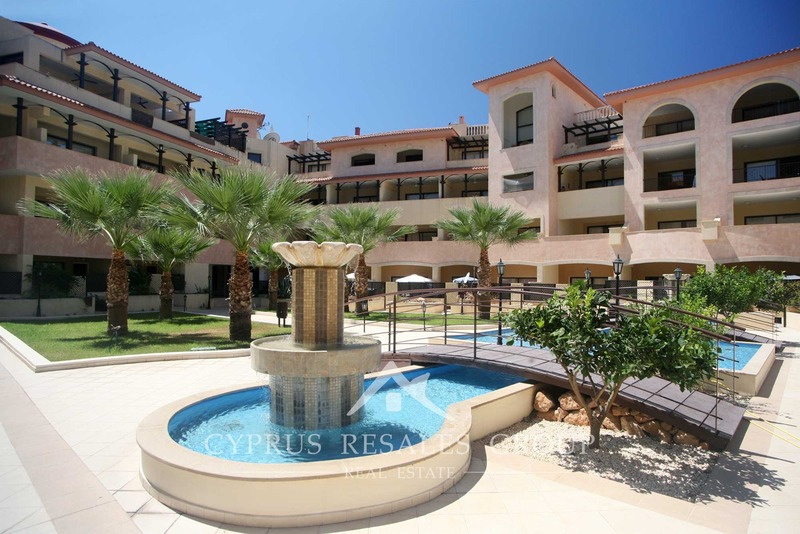 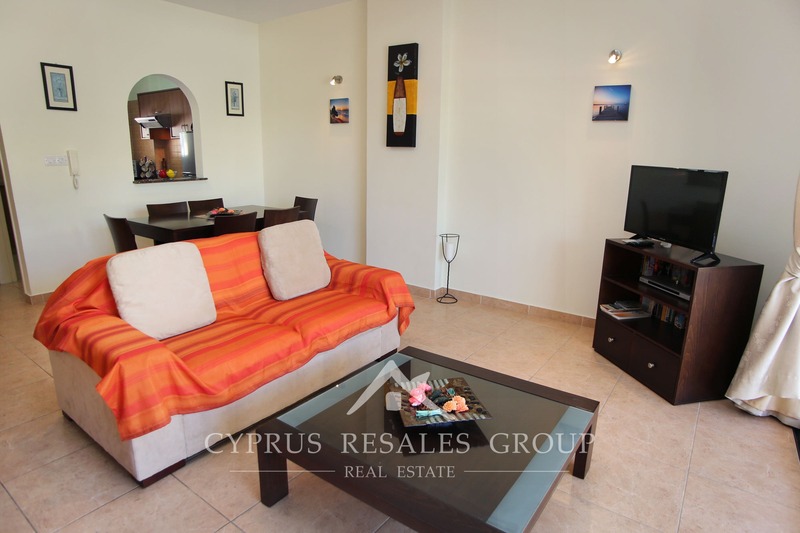 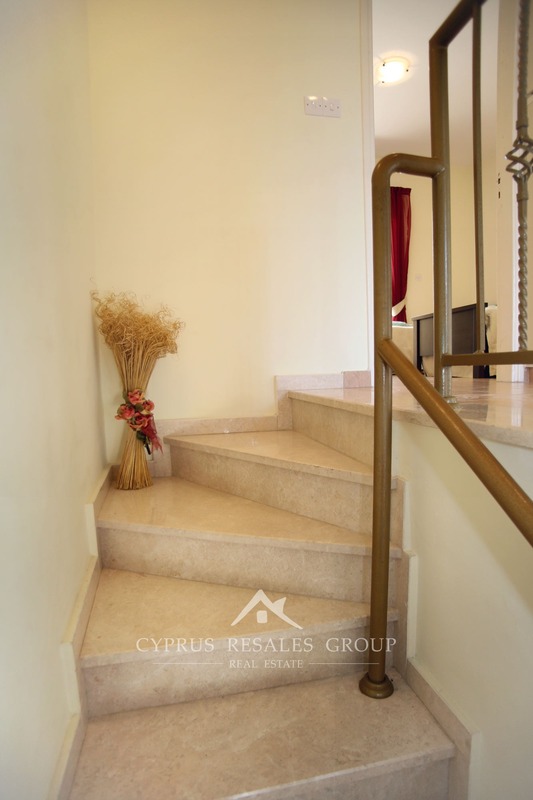 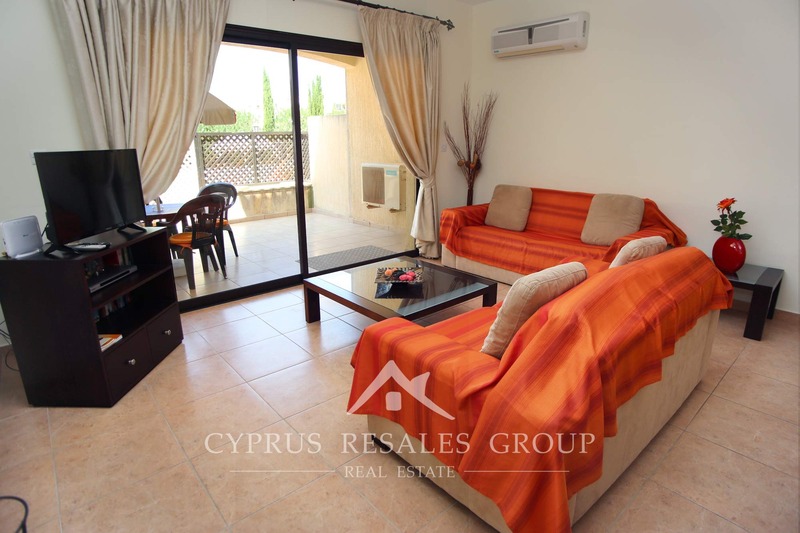 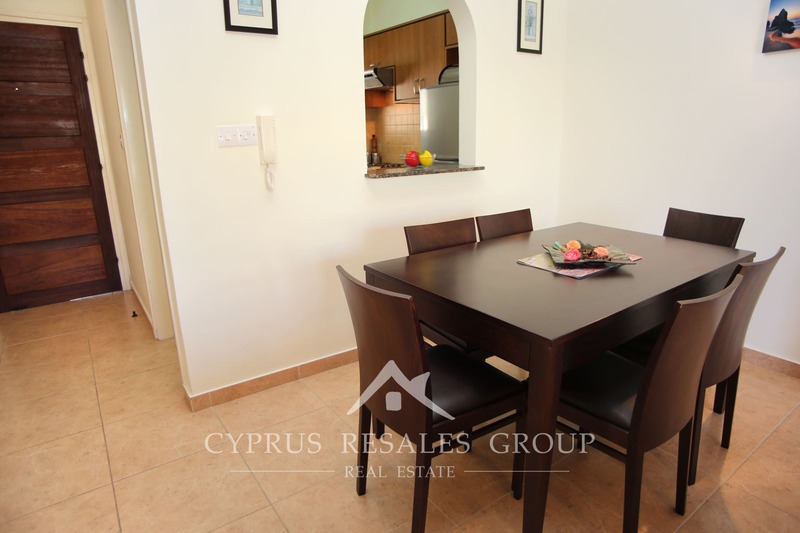 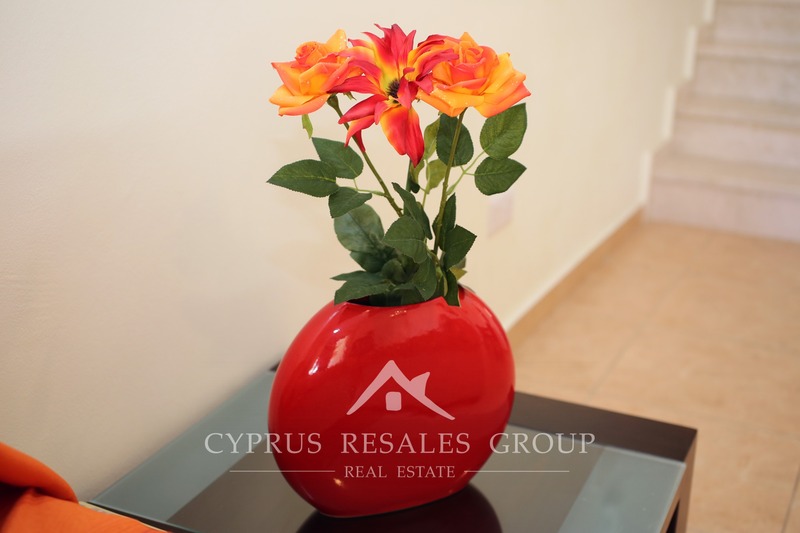 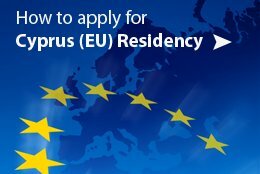 Property In Paphos – 2 bedroom Luxury Townhouse in Aristo Queens Gardens Kato Paphos for sale. 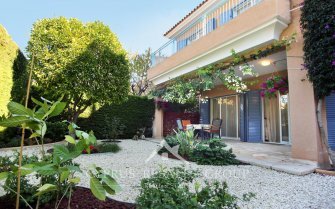 This is a rare opportunity to purchase a large townhouse in the prestigious development Queens Gardens. 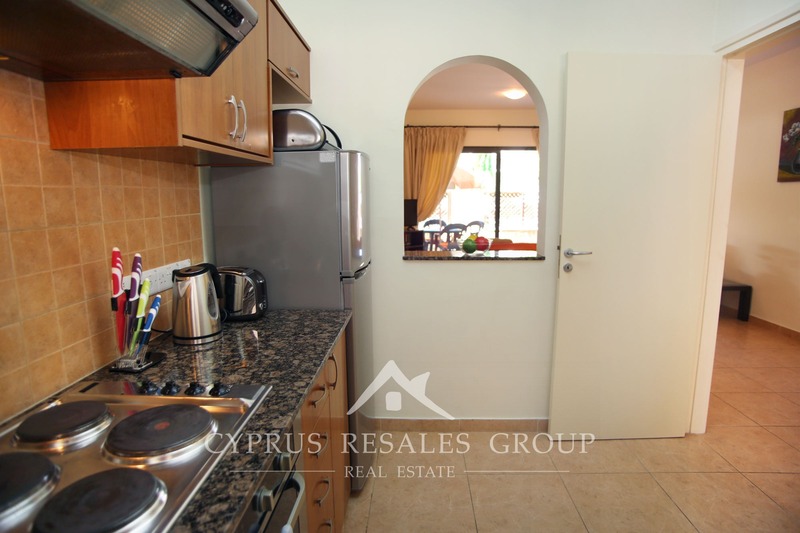 Queens Gardens is rightly regarded as the flagship development of Aristo Developers; its finish and design are unique, the project itself attracted significant premiums over other developments when it was built and today its location has been enhanced by the neighbouring Kings Avenue Mall. 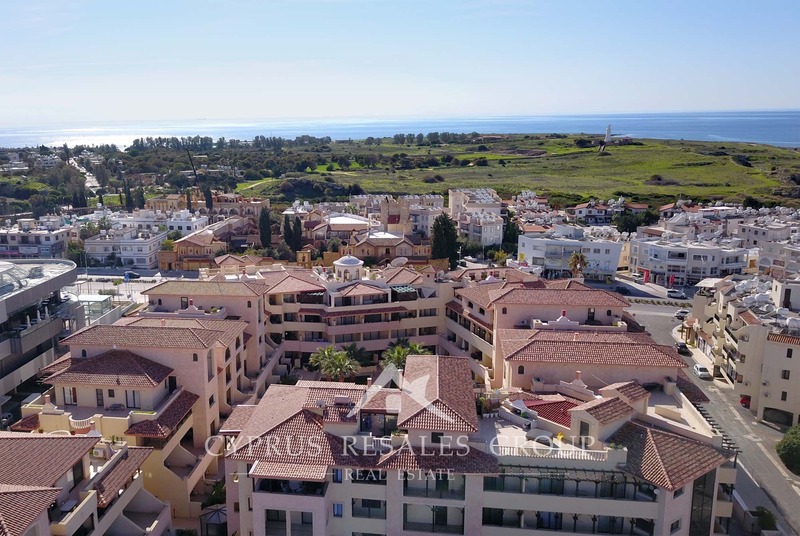 Queens Gardens is an exclusive gated project with ornamental fountains within a secluded courtyard, the entire project designed in Venetian style by the same architect responsible for the near-by luxury Elysian Hotel. 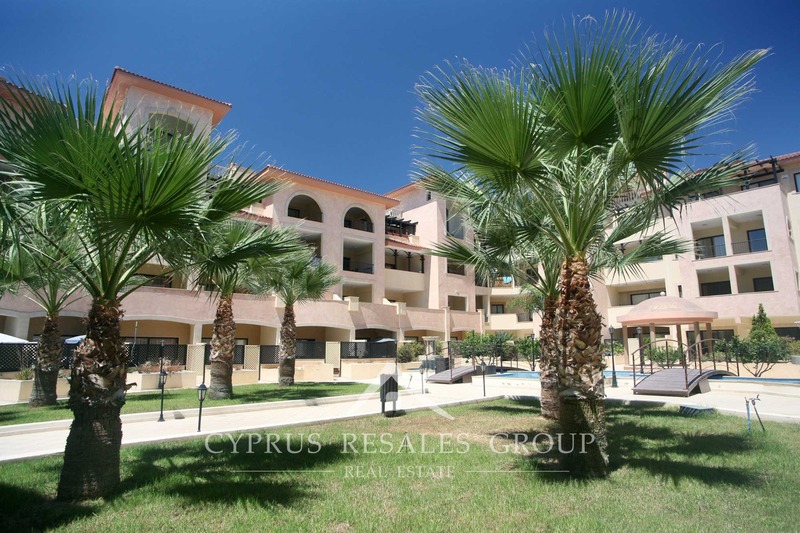 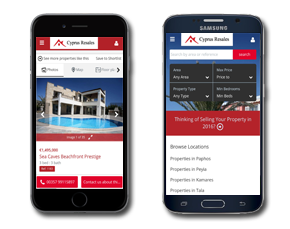 Facilities of the development are of the highest standard and include a vast underground parking area and a large common swimming pool with Roman steps. 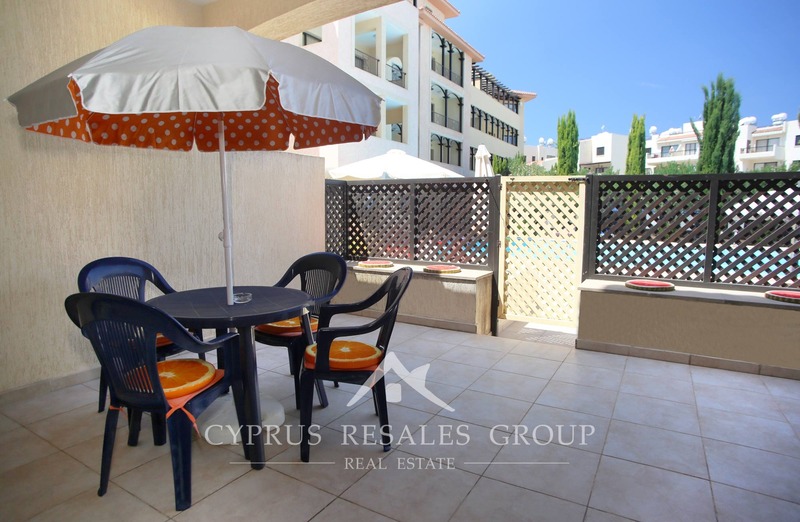 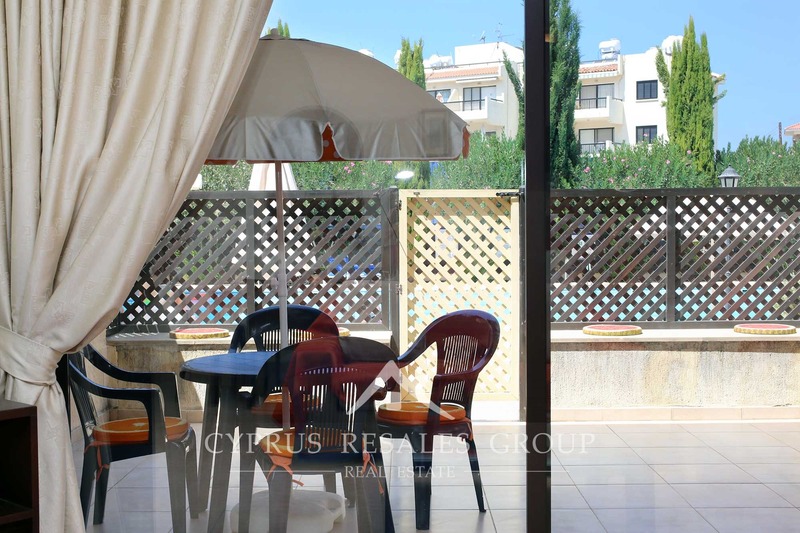 This lovely property is located at the pool end of the project and has a private covered parking and large terraces suitable for private sunbathing. 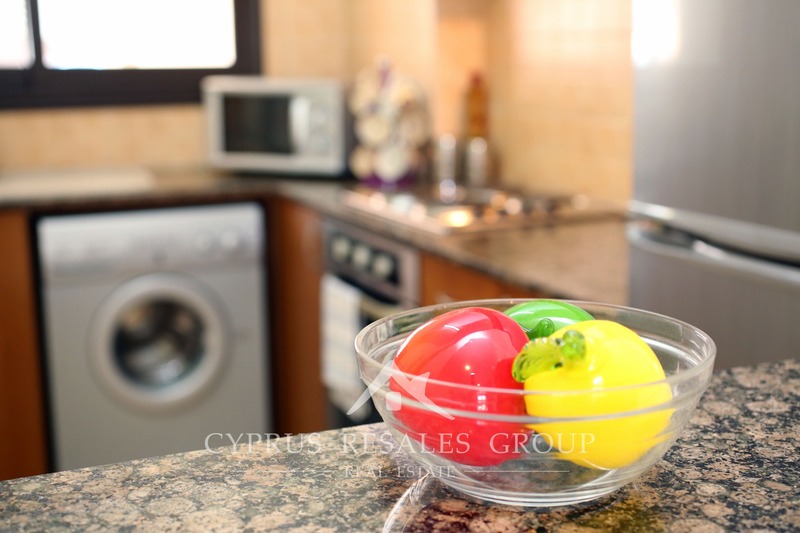 The ground floor stylish interiors comprise a smart separate kitchen with integrated modern appliances and an arched breakfast bar, spacious open plan living room. 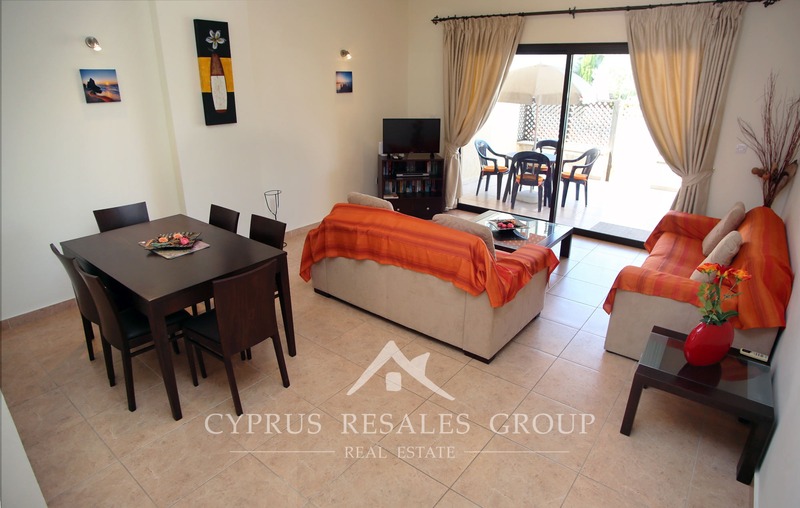 The living area is a lovely, bright room due to the large patio doors that open onto the private terrace. 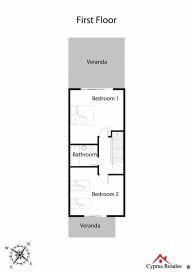 Upstairs there are two exceptionally large double bedrooms with fitted wardrobes and each one with its private balcony. 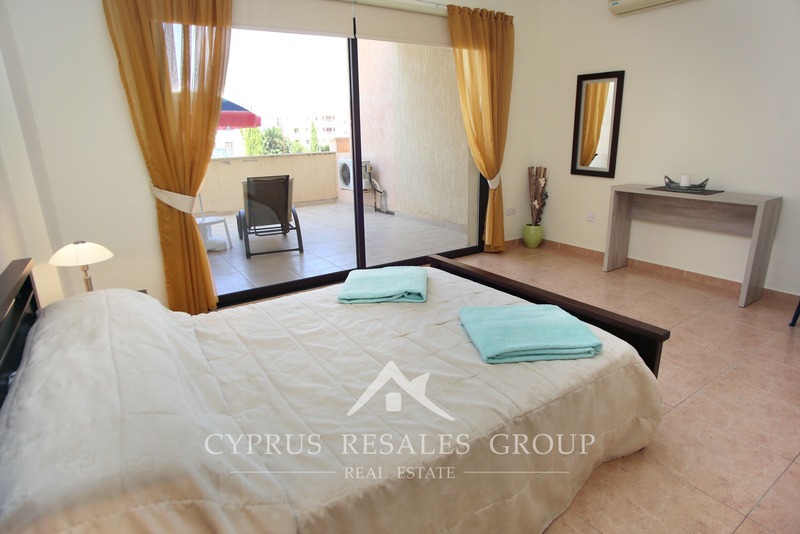 The bedroom facing the pool exits onto a substantial secluded balcony that can easily accommodate several sun loungers as well a table and chairs. 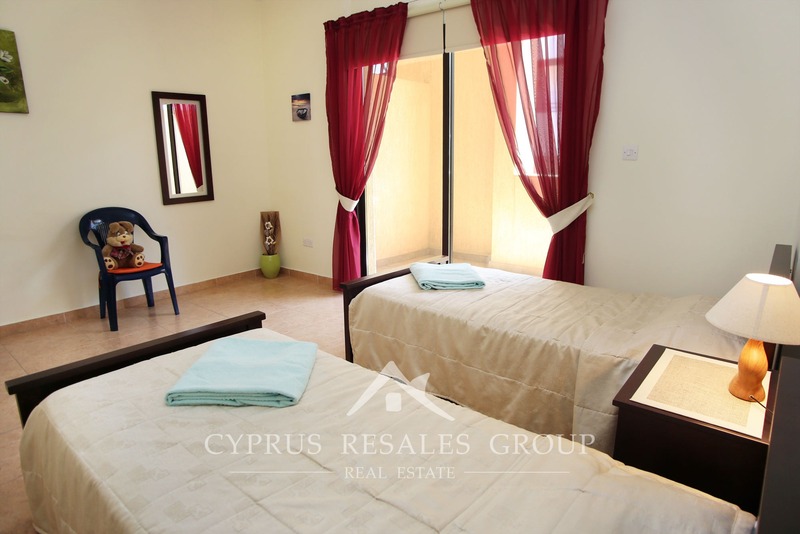 The landing connecting the 2 bedroom has a full-sized bathroom with high quality fixtures and fittings. 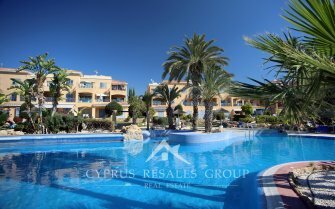 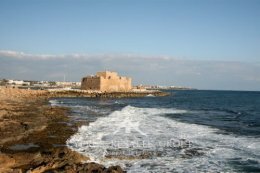 With property in quality locations always in high demand early viewing is advisable.